Technology has become a very important component of our life. Everyday we came across some new gadgets which are based on technology. One of these gadgets is Smartphone which has become the most prominent tech these days. Everyone has smartphones these days. So smartphones are in a great demand. These smartphones have many functions. But due to human nature everyone want additional features in their smartphones. Keeping in mind this, smartphone companies launch successor to their previous smartphone models with some improvements. Various smartphone announcement events happen every year across the globe. 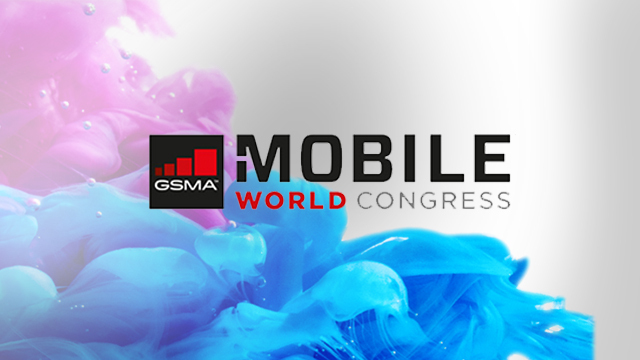 One of them is Mobile World Congress (MWC) which is the main mobile event and occurs every year. This event starts every year in the late February and ends in early march. In this event many smartphone companies unveiled their smartphones. This year MWC held from 27th Feb to 2nd March at Barcelona. And many companies unveiled their smartphones there this year. The smartphones companies which unveiled their smartphones at MWC are Nokia, BlackBerry, Huawei, LG, Sony, Motorola, Nubia, ZTE and many more. Samsung usually unveils it's flagship smartphone every year in this MWC. But due to the incident of Galaxy Note 7 last year it wants to give some more time on it's new flagship that is Samsung Galaxy S8. Without wasting further time lets see some of the specs of the smartphones unveiled by various companies at MWC 2017. Few years back BlackBerry was one of the top smartphone maker. Their smartphones got very much famous due to it's unique design and special keyboard. But later on it's market got down due to launch of various large sized android phones which are full touch screen. 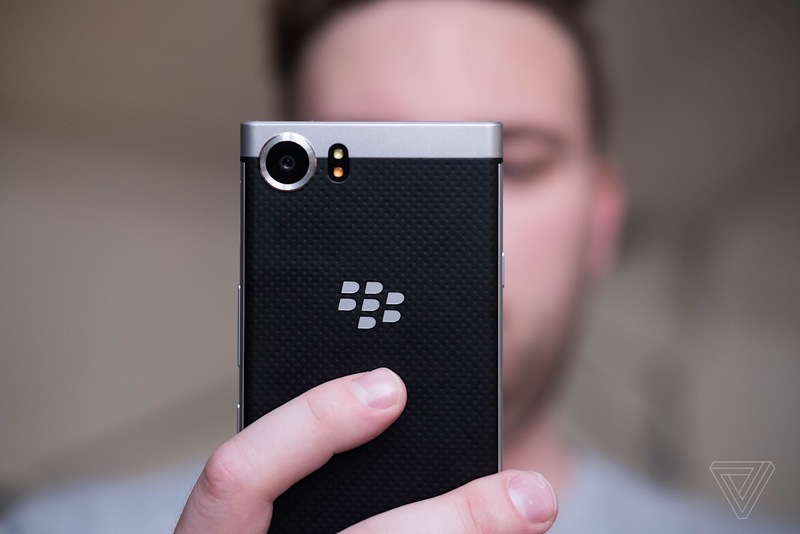 At the end BlackBerry has no choice instead of selling their smartphone business to TCL communication and focus on software instead. The new smartphone we see today is the last smartphone from Blackberry that's why it has that distinctive keyboard. This new phone is known as BlackBerry KeyOne. It has 4.5 inch display which has 1080 x 1620 resolution. This screen is IPS LCD type screen. The device has aluminum frame and textured back. The device is powered by Qualcomm's Snapdragon 625 chipset with Adreno 506 GPU. The phone comes with 32 GB of internal storage and 3GB of RAM. Memory can also be expanded with micro SD card upto 256 GB. It has 12MP rear camera with f/2.0 aperture with phase detection autofocus, dual tone dual LED flash and 8 MP secondary camera with 1.12µm pixel size. The phone has 3505 mah non removable battery. It has USB type-C connector. Also it supports Quick charging 3.0. It also has all the sensors such as gyro, proximity, accelerometer, fingerprint and compass. It also supports NFC. It comes only in one color that is black. The keyboard used on this is backlit. 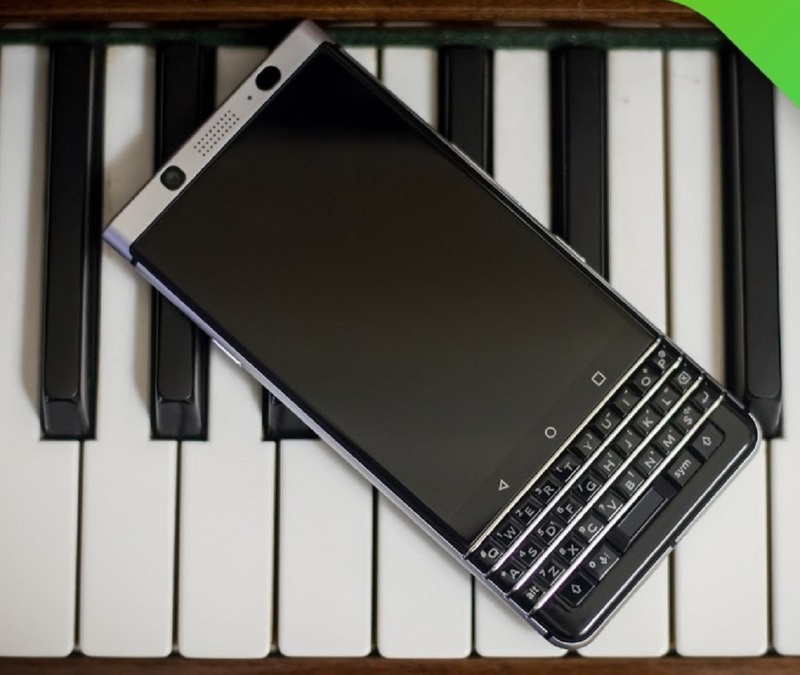 It reminds us of the old keyboards which were used in earlier blackberry smartphones. But the keyboard used is highly advanced, it immediately responds as soon as we touch the key. The OS used here is Android 7.1 which is really surprising. Also there is some blackberry stuff in the OS. And lastly the phone will be available from April and will be priced under $600. LG is also one of the companies which unveil it's flagship phone at MWC every year. LG has unveiled LG G6 at MWC 2017. 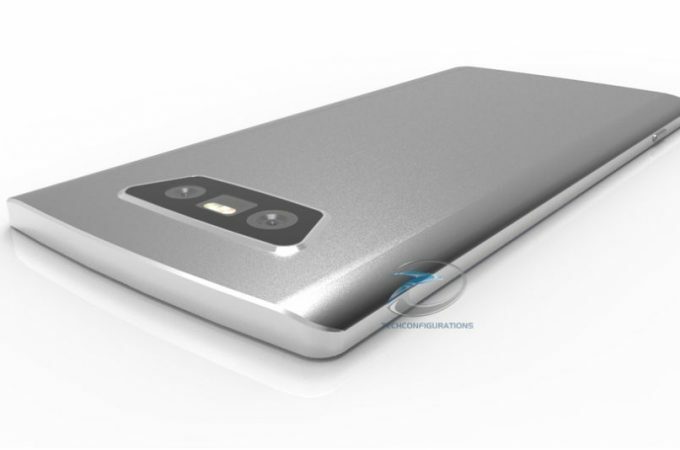 It is successor to the last year launched LG G5. LG introduced the modular concept in LG G5 but it didn't get too well due to it's cons. That's why it is not putting this modular technology in LG G6. 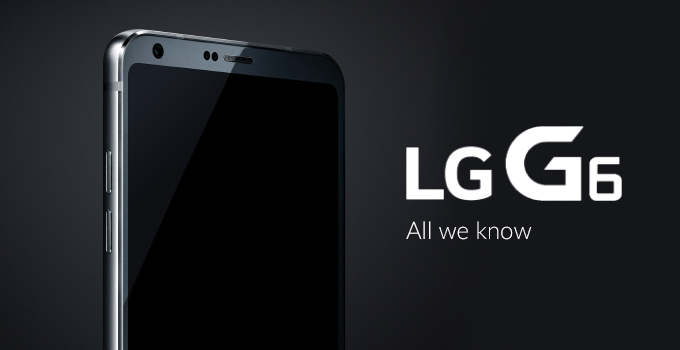 LG G6 is said to be having Full-Vision display. The company is calling it a full aviation display as the display covers most of the part in front. The device is having 5.7 inch IPS LCD display. The aspect ratio of it's display is 18:9 and resolution of 2880 x 1440 pixels. The display is protected by Gorilla Glass 3 and back is protected by Gorilla Glass 5. LG G6 is powered by Qualcomm's Snapdragon 821 processor as early patches of new Snapdragon 835 will be taken by Samsung. So it forced the company to use Snapdragon 821 in it's flagship. By the way this processor is based on a quad core processor with two kryo cores cloaked at 2.35 GHz and other two kryo cores cloaked at 1.6 GHz. The device comes with Android 7.0 out of the box. The device is having dual rear camera setup with two lens, both of them are 13MP among them one is main one and other is basic. The main one has f/1.8 aperture with OIS and other having f/2.4 aperture but it lacks OIS. The autofocus used is Laser autofocus. The dual camera setup was earlier used in LG V20 and LG G5 and it is found to be really successful. The secondary camera is of 5MP with f/2.2 aperture. The device is dust and water resistant also this time. The battery used is non removable 3300 mah battery. The phone weighs about 163 grams and has thickness of 7.9 mm. The device is having 4GB of RAM with 32GB/64GB of internal storage. Motorola, a company owned by Lenovo also unveiled some of it's smartphones at MWC 2017. We all know about the G series of Motorola which is very famous. We know that Motorola is the first company to make a phone but in past the company faced many problems due to which it incurred many losses. The Motorola failed to sell many smartphones from 2007 to 2009 and this is the reason of company's downfall. But in 2013 it made a very good comeback with launch of it's first G series smartphone that is Moto G. The smartphone got much success and became very famous. Due to this success it launched many successors to Moto G. It has already launched 4 generations of Moto G and now it's time for the 5th generation that is Moto G5. Company unveiled the Moto G5 at MWC 2017. 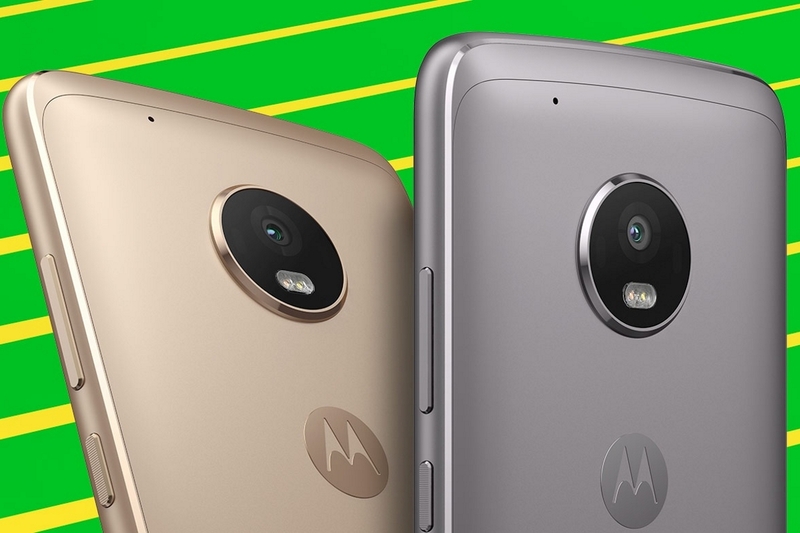 Motorola actually unveiled two versions that are Moto G5 and G5 plus. This time Moto has chosen to go with metal build that's why Moto G5 and G5 plus has full metal body. Moto G5: Moto G5 has full metal body. It has 5.0 inch IPS LCD full HD display. The screen is protected by Corning Gorilla Glass 3. The phone is powered by Qualcomm's Snapdragon 430 chipset running on octa core processor with each cortex A-53 core cloaked at 1.4 GHz. The GPU used is Adreno 505. The device comes with 2GB of RAM and 16GB and 32GB of internal storage, which can be expanded via micro SD upto 256 GB. The device has a 13 MP rear camera with f/2.0 aperture, phase detection autofocus and dual tone dual LED flash. The secondary camera is of 5 MP with f/2.2 aperture. The device has front facing fingerprint sensor. It also has all other sensors such as gyro, proximity, accelerometer, compass. The device is having 2800 mah non-removable battery. It also supports fast charging. The phone weighs 145 grams and is about 9.5 mm thick. The device comes with Android 7.0 out of the box. It comes in two colors that are Lunar Grey and Fine Blue. Moto G5 Plus: Moto G5 Plus also has metal build which looks really premium. The device is having 5.2 inch IPS LCD full HD display. The device is powered by Qualcomm's Snapdragon 625 chipset which is based on octa core processor with each cortex A-53 core cloaked at 2.0 GHz. The GPU used is Adreno 506. The device comes in 2GB, 3GB and 4GB RAM options. The device has a 12 MP rear camera with f/1.7 aperture, phase detection autofocus and dual tone dual LED flash. The rear camera of the device will be really awesome. It has secondary camera of 5MP with f/2.2 aperture. The device also has front facing fingerprint sensor. It also doesn't skip on any other basic sensor, it has all the basic sensors. The﻿ device is having 3000 mah non removable battery. It also supports fast charging which is said to charge the phone at 10W. The device weighs 155 grams and is about 7.7 mm thick. The device is also having NFC support but it's availability is market dependent. The device comes with Android 7.0 out of the box. It comes in two colors that are Lunar Grey and Fine Blue. Last year Huawei got really famous due to it's flagship device Huawei P9 which is a camera centric phone. This year company has unveiled the successor to this Huawei P9 at MWC 2017. The device is named Huawei P10. 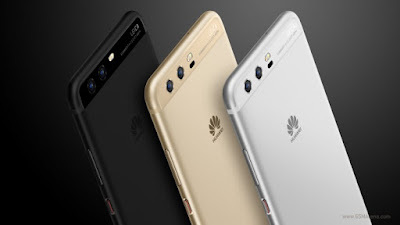 Huawei P10: Huawei P10, the company's new flagship has got lot of improvements from it's predecessor. It is having some refreshed design with 2.5D glass at the front. It has full metal back with plastic at top and bottom. The design of the phone looks really premium. The device is powered by Kirin 960 chipset which is based on octa core processor with four Cortex A-73 cores cloaked at 2.4 GHz and four cortex A-53 cores cloaked at 1.8 GHz. The phone is powered by Mali-G71 MP8 GPU. The screen of the phone is 5.1 inch which has IPS LCD type display with full HD resolution. The display is protected by Gorilla Glass 5. The device is powered by Huawei own emotion UI which is based on Android Nougat 7.0. 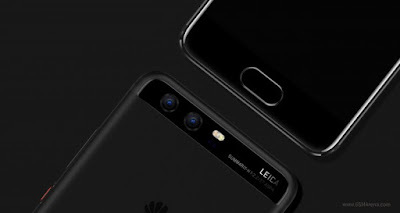 The device uses the same Leica camera technology which was used on Huawei P9. Huawei P9 was the first mobile to use monochrome + color, dual lens system. It got really successful that's why Huawei P10 also uses it. Huawei P10 uses the same camera setup as Mate 9 ,12 MP color and 20 MP monochrome lens. Both have f/2.2 aperture size but only the color one is having OIS. 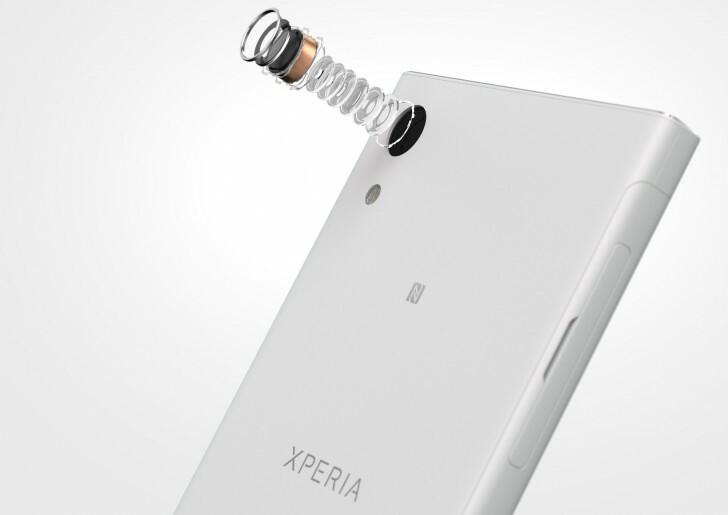 The device has a secondary camera of 5 MP with f/1.9 aperture. This time the front camera also supports Leica setup. It has 3200 mah non removable battery and also supports super charge. The phone is having front facing fingerprint sensor which is embedded in the home button. It has all other basic sensors. This home key can be used for multipurpose which means one tap for back, long press for home and slide for task switcher. 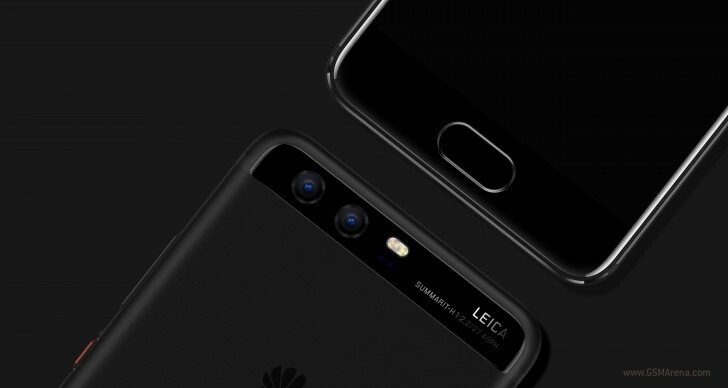 Huawei P10 plus: Just like previous year Huawei this year also unveiled a higher version of it's flagship which is known as Huawei P10 plus. The device is somewhat same in appearance to the Huawei P10 but with a bigger screen size. Huawei P10 has the same design as that of Huawei P10. Huawei P10 plus has a 5.5 inch IPS LCD display. The resolution of the display is 2K. The display is protected by Corning Gorilla Glass 5. The device is powered by the same processor as Huawei P10. The device comes in two memory options that are 64 GB internal, 4 GB RAM and 128 GB internal,6 GB RAM. The device is having the same camera as that of Huawei P10 but the only difference is that the rear camera setup of this one is having f/1.8 aperture. The device is having a non removable 3750 mah battery. All other things are common in both of the phones. Nokia was one of the most prominent brand name in the smartphone history. It was well known for it's feature phones all around the globe. The company was leading the phone market all around the globe. But with the transformation of phone market to smartphones the Nokia's hold on the smartphone market weakens. 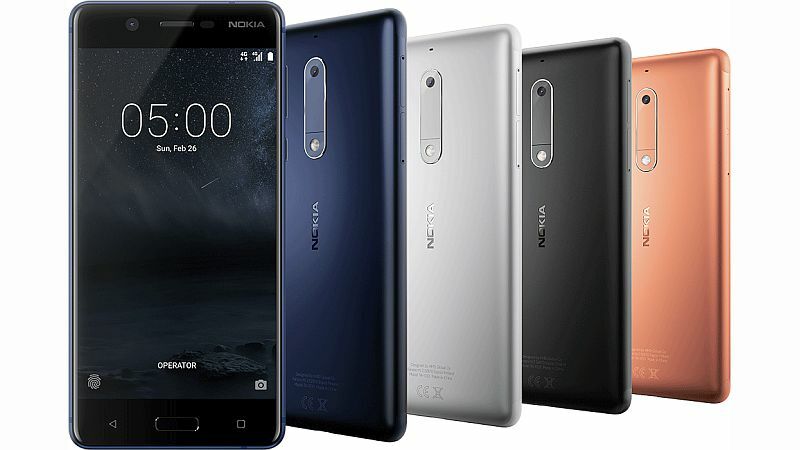 The launch of various android powered smartphones reduced the sales of Nokia phones. In competition to these android phones Nokia introduced it's Lumina series which are powered by windows software. But it didn't work too well and at last Nokia has to sell it's smartphone business to Microsoft with a contract. Now that contract has ended so company is trying to make a comeback in the market. So in 2017 Q1 Nokia is announcing it's Android powered smartphones. 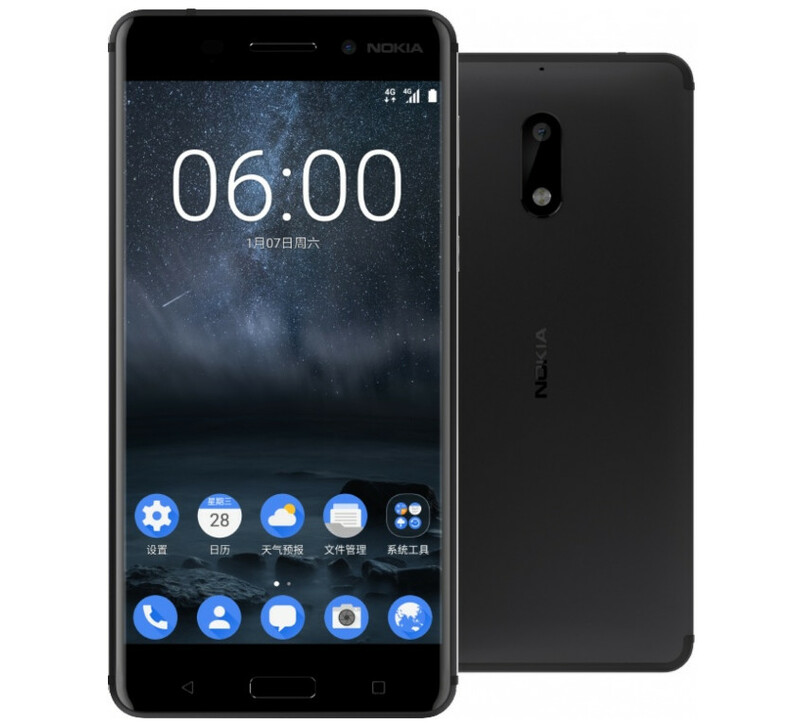 Nokia has already launched Nokia 6 last month in China﻿ and it didn't mention anything about the global availability. And now at MWC 2017, Nokia announced two more android devices that are Nokia 3 and Nokia 5. 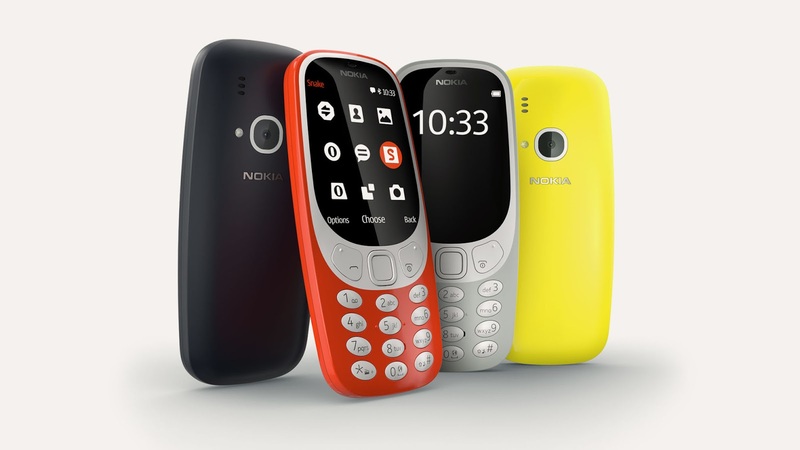 And it also relaunched one of it's previous feature phones that is Nokia 3310. 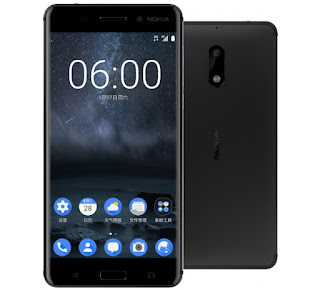 Nokia 5: Nokia 5 is 5.2 inch device. The device has a IPS LCD type display and has HD resolution﻿. The display is protected by corning gorilla glass. The device is powered by Qualcomm's Snapdragon 430 chipset which is based on a octa core processor with eight cortex A-53 cores cloaked at 1.4 GHz. There is also Adreno 505 GPU. The device has a aluminum unibody design. So it looks premium in hands. It has a 13 MP rear camera with f/2.0 aperture with phase detection autofocus and dual tone LED flash. The secondary camera is of 8 MP with f/2.0 aperture. The device comes with 16 GB of internal storage and 2 GB of RAM. The phone is powered by Android Nougat 7.1 and company is promising to update the software regularly. The device comes with 3000 mah non removable battery. The device has front facing fingerprint sensor and has all other basic sensors. 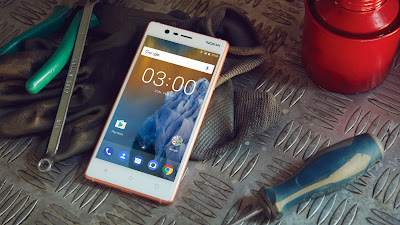 Nokia 3: Nokia 3 is another device which company unveiled alongside Nokia 5. Nokia 3 is having the design like higher end versions of Lumina series, the phone has an aluminum frame. On front it has 5 inch HD display. The display is IPS LCD type and is protected by the Gorilla glass. It has 8 MP rear camera and 8 MP secondary camera while all other camera's features are same as Nokia 5. The device is powered by a quad core Mediatek chipset and has Mali-T720MP2 GPU. The phone also comes with 2GB of RAM and 16 GB of onboard storage. It also comes with Android 7.1 out of the box. 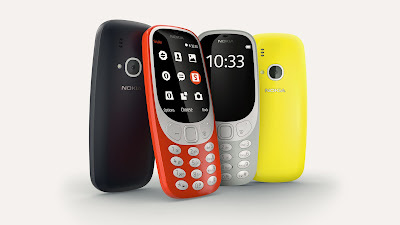 Nokia 3310: Nokia 3310 is very basic type of feature phone. There is no point of relaunching this device at this time where all use smartphones. The device is only for basic work like calling and playing very basic older games such as Snake, Paris, space impact. The device doesn't even have the Bluetooth in the device. It has a 900 mah removable battery. This type of phone is totally useless at this point of time. Now it's time to get a look at Sony's flagship phones. 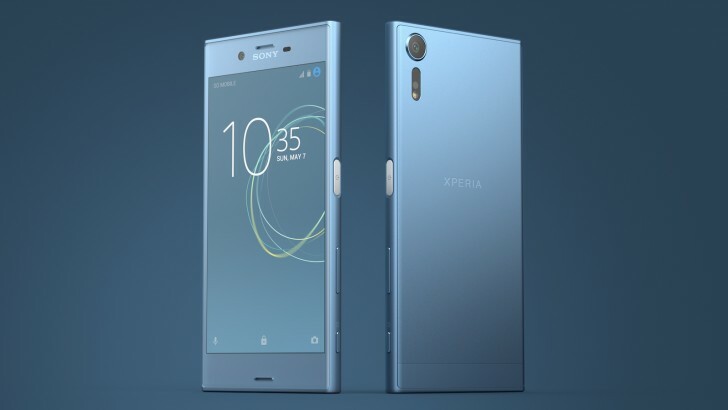 This year Sony unveiled two flagship smartphones at MWC 2017 that are Sony Xperia XZ Premium and Sony Xperia XZs. Also it unveiled two other mid range smartphones at MWC 2017 that are Sony Xperia XA1and XA1 Ultra. So let's have a look at them. Sony Xperia XZ Premium: Sony Xperia XZ Premium is the new flagship of the Sony. It has a 5.5 inch screen size. The Phone has a full glass design which runs all around the phone and is protected by Gorilla Glass 5. The device is a little bit heavy with 195 grams weight and 7.9 mm thick. It is the second phone from the Sony which has a 4K display. The display is IPS LCD type and has a resolution of 3840 x﻿ 2160 pixels. The phone is powered by the Qualcomm's Snapdragon 835 chipset which is the latest chipset from Snapdragon. This chipset is based on the octa core processor with four Kryo cores cloaked at 2.45 GHz and four Kryo cores cloaked 1.9 GHz. The phone has a Adreno 540 GPU. The phone has 64 GB of internal storage and 4 GB of RAM. The storage can be expanded with micro SD upto 256 GB. The phone has a 19 MP rear camera with f/2.0 aperture, phase detection autofocus and Laser autofocus and LED flash. 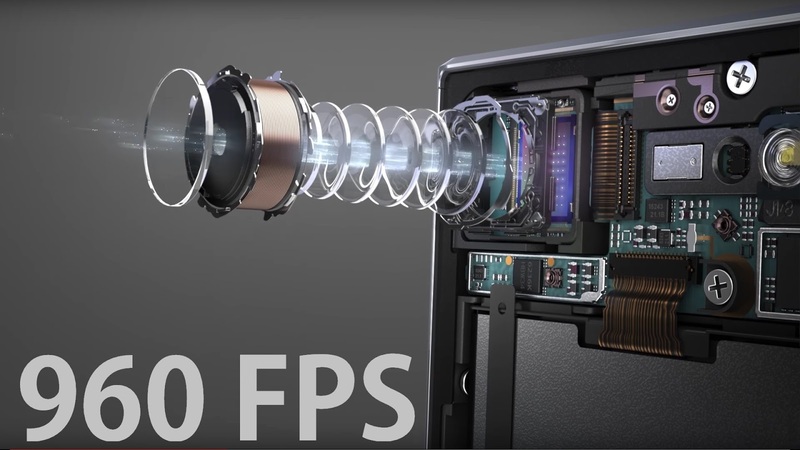 The phone can record 4K video @ 30fps. The most important feature of the phone is that it can record video slo mo video @ 960fps and this is 4 times slower than any video which any smartphone's camera can record now. This slo mo video is recorded at 720p. This camera features the Electronic Image Stabilization technology for better photography. The phone also has a 13 MP secondary camera with f/2.0 aperture. The phone comes with Android Nougat 7.1 out of the box. The device is packed with non removable 3230 mah battery. It also supports Qualcomm's quick charging 3.0. The phone has a fingerprint sensor which is embedded in the power button. As this device is having Snapdragon 835 chipset it will be available very late in the market. Sony Xperia XZ: Sony Xperia XZs is another flagship of Sony. 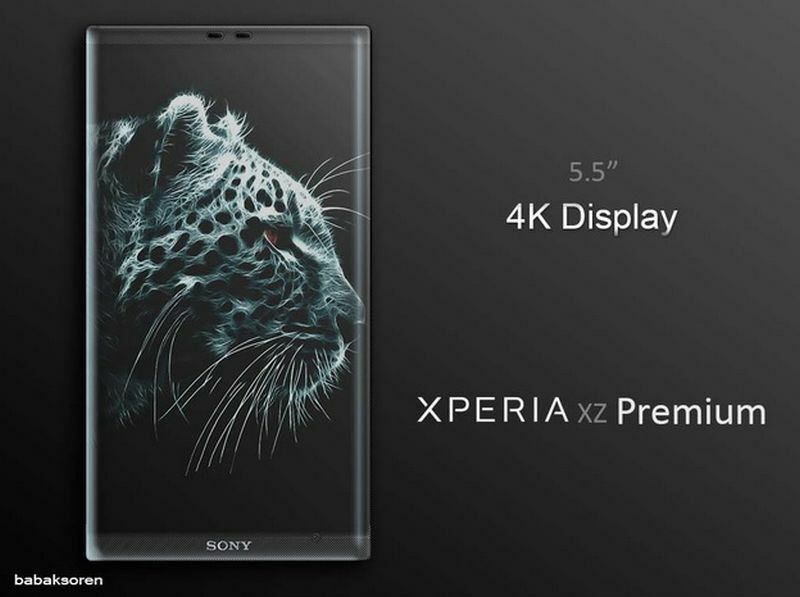 The device features the same design as Sony Xperia XZ. It has 5.2 inch screen size. The display is IPS LCD type and has full HD resolution. The screen is protected by Corning Gorilla Glass. Sony has chosen to pack this phone with Snapdragon 820 to make it available in the market much earlier than Xperia XZ Premium. The phone packs the same camera as that of Xperia XZ Premium and also has all other same camera features. The phone comes with two memory options that are 32GB internal and 4GB of RAM and 64GB internal and 4GB of RAM. The phone weighs 165 grams and has 8.1 mm thickness. The device comes with Android Nougat 7.1 out of the box. The device packs 2900 mah non removable battery and supports Quick charging 3.0. Sony Xperia XA1 Ultra: Sony Xperia A1 Ultra is the company's mid range device. It is the next device of Sony's Ultra series. The device has a big screen of 6.0 inch. The display is IPS LCD type and has a full HD resolution. The device packs Mediatek Helio P20 processor which is successor to Helio P10. The phone comes with Android Nougat 7.1. 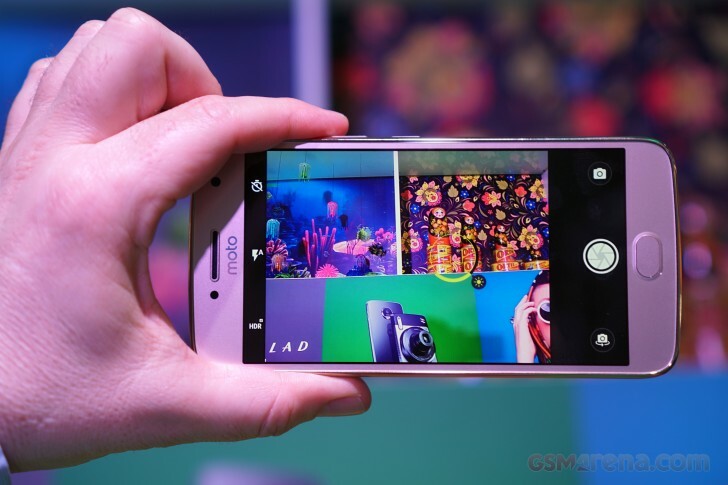 The device has a 23 MP rear camera with f/2.0 aperture, phase detection and laser autofocus and LED flash. The camera lacks Optical Image Stabilization. It has a 16 MP secondary camera with f/2.0 aperture size. This front camera has Optical Image Stabilization. This is the second phone after HTC 10 which features OIS in it's secondary camera. The phone packs 2700 mah non removable battery and also supports fast charging. The device comes in two memory options, 32GB and 3GB of RAM and 64GB and 4GB of RAM. The phone weighs 188 grams and has 8.1mm thickness. Sony Xperia XA1: Sony Xperia XA1 is also a device which company unveiled at MWC 2017. The device is getting very much fame due to it's very thin side bezels. The company is saying it's screen as "borderless edge to edge screen". So it looks really cool without any side bezels. The phone is having 5 inch display. The display has HD resolution and is of IPS LCD type. The phone is powered by the Mediatek Helio P20 chipset. The phone is having the same rear camera as that of Xperia XA1 Ultra. The secondary camera in it is 8MP with f/2.0 aperture but it lacks OIS. The phone weighs 143 grams and has a thickness of 8mm. The phone comes with Android Nougat 7.1 out of the box. The device packs 2300 mah non removable battery and also supports fast charging. The device has 32GB of internal storage and 3GB of RAM.